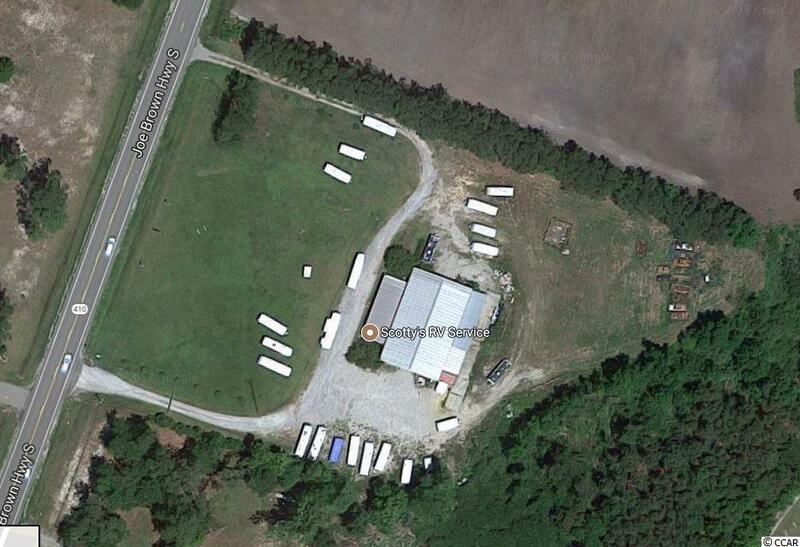 3.3 Acres (360 x 400) with solid 7,200 square foot office/warehouse. 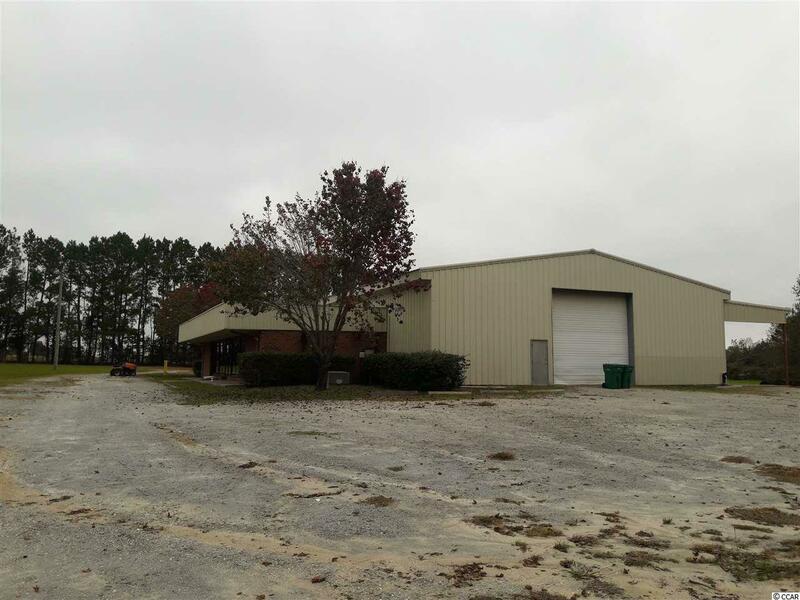 Property consists of 1,200 square feet of office/retail, 6,000 square foot drive thru warehouse, 12 feet at eaves, 2 1/2 bath, truck height loading dock, large grass laydown yard, and easy access with circular drive ways. 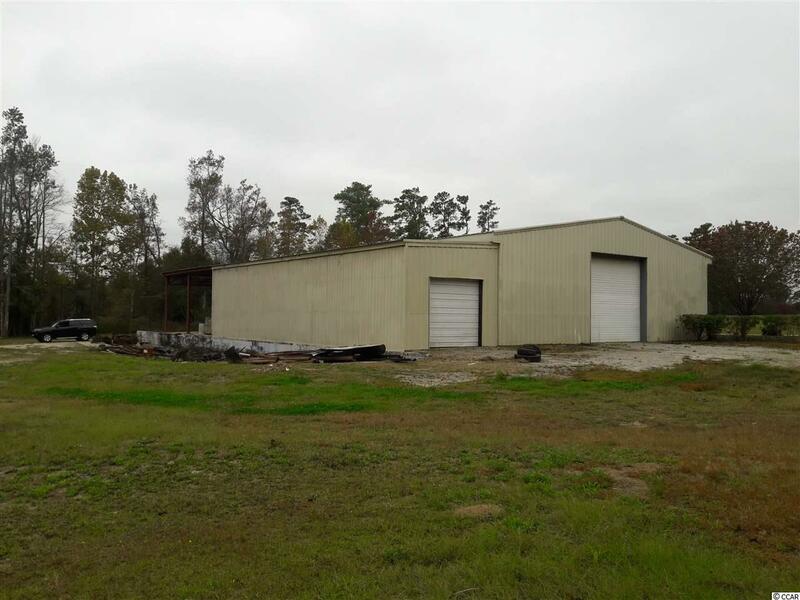 Property is located inside city limits with city water and septic tank. Helena Chemical, and most recently Scottys RV Service have been tenants. 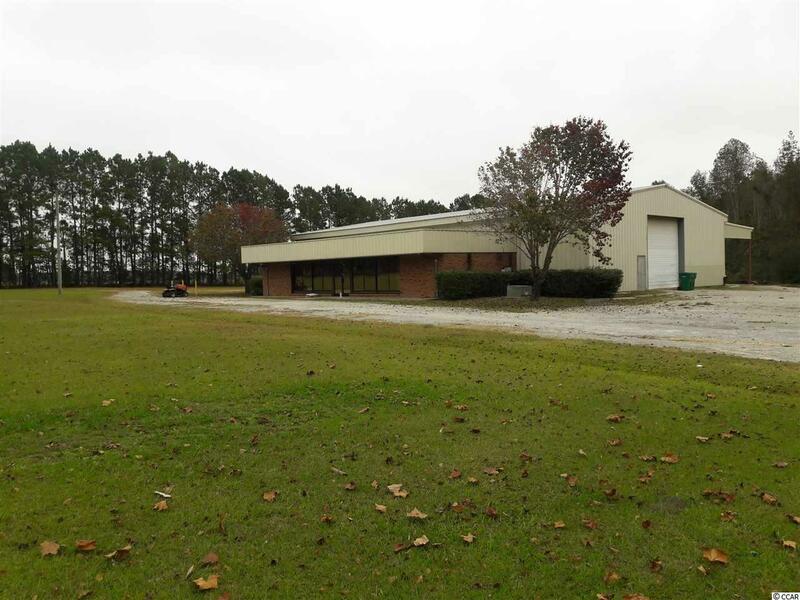 Over 360 feet of frontage all located just off Highway 410 at Highway 701 just minutes from I-95 and North Myrtle Beach.